Home » brewing sake » where beer meets sake. interview with patrick rue (the bruery) sam calgione (dogfish head). where beer meets sake. 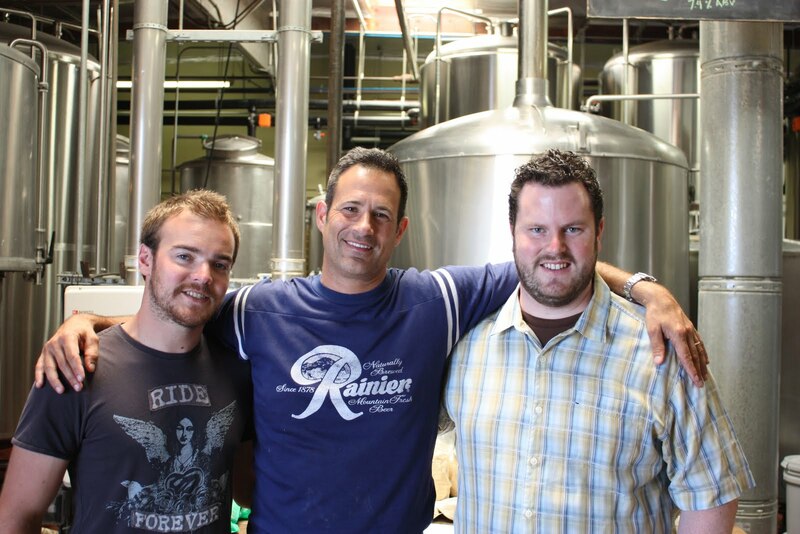 interview with patrick rue (the bruery) sam calgione (dogfish head). Sake has largely been the purview of the wine industry here in the states. Possibly this is due to the fact that it has an alcohol level that was closer to wine when it was starting to become a popular import in the early 80’s. However with the explosion of Craft Beer in the U.S. in the last 30 years, similar alcohol levels and complexity are now commonplace in the beer industry. Sake has yet to have its day in the hands of the Craft Beer movement but that time is coming. Craft brewers and beer geeks are accustomed to grain-based fermentation, unusual processes and artisanal production which makes it a better scene for Sake’s continued success in the U.S. Some Beer/Sake hybrid experiments have been done, including one right here in Boston; however when I heard that The Bruery and Dogfish Head were doing a Japanese inspired beer brewed with unique ingredients and fermented with Sake yeast, I knew that they had to be this blog’s first interview. I posed 5 questions to the collaborative brewers about brewing with Sake yeast and the challenges they faced making such a unique brew. The resulting as-of-yet unnamed beer is a unique blend of chili peppers, sesame seeds, nori and kumquats and fermented with a Sake yeast (#9). A portion of the proceeds from the beer will be donated to Japan Disaster Relief, so pick up a bottle when you find one. BOS – Collaborative beers are prevalent these days, what specifically made you want to brew with each other, and have it benefit Japan disaster relief? BOS – What flavor impact were you hoping to achieve by using Sake yeast instead of beer yeast? BOS – Were there any challenges to using Sake yeast instead of beer yeast? – Fermentation time, temperature, ABV% etc. BOS – Many small brewers reject the use of adjuncts (non-traditional beer ingredients); however, this collaboration used rice. What do you think can be done to encourage craft brewers to embrace rice and other adjuncts? BOS – As brewers who both currently use Asian ingredients in beers, if you could use anything else from Japan to make beer, what would it be?